After having some feedback from my target readers, I have sat down and put together the plot for the next book in the Elementi series. This one is based on Shenella as she appears to be everyone’s favourite Elementi character! Children of the Elementi is a quick, fast paced read but it is peppered with information which you might just skip if you read it too fast! Here are a few frequently asked questions from the book. How did Jake survive if his mum was only six months pregnant at the massacre? Jake’s mum, Nuin, was with the Healer, Kiron. Their medical knowledge and skills are far better than our own. The Matrix is a planet-wide crystalline mind. Nothing to do with the Keanu Reeves film! The Matrix in our world has several meanings, in its oldest form it means the womb and in the story it represents the source of the Elementi powers. In a sense without the Matrix, their powers would not have developed at all. Other definitions (courtesy of Dictionary.com) include a crystalline phase in an alloy or a fine-grained portion of a rock in which coarser crystals are embedded. The Matrix in Eleria is alive. It is the culmination of combined crystals through the world, taking power from everything but it’s intelligence from humans. In return it has given powers to the humans it has bonded with. How do the teenagers know how to connect to the Matrix? When Mirim talks to Keira after the volcano she explains that each heir was connected to the Matrix before they left Eleria. The knowledge was always there, they just couldn’t access it. However because it was there, once they reconnected it became instinctive. Why is color spelt wrong? It’s not, it’s how we Brits spell it! Adramelech is a Deoc. A race of people made completely from fire. A pure Elemental, he is estranged from his people because of his predilection for power and enslaving vulnerable civilisations. Before Aras called him, he was imprisoned in no-space with no way of getting home. He is a descendant of Jake’s father and has the abilities of both peoples. Unfortunately the two powers are not compatible and Aras is slowly dying. He needs to kill Jake and find the ancient Citadel to survive. Who is the Fire King? I’m not telling you. You have to read it to find out! There is one planned, it just needs writing! To celebrate getting through the first round of the Amazon Breakthrough Novel Award, I’ve reduced Children of the Elementi to just 99 cents on Amazon and Smashwords until the end of March. Smouldering in the circle the Deoc glared malevolently at Aras. Its body was made entirely of fire but as Aras watched, the flames rescinded. Skin formed over the creature’s body. First its arms and legs, then its face before it was covered completely in skin. Over this, a robe formed until a man stood before him with red and gold-flecked eyes. ‘Why would I do that?’ The creature smiled, confident in its power. The powerful Elementi Empire spanned over a thousand years, its kings and queens loved and revered by their people and their elemental abilities feared by their enemies. Treachery and Magi illusion destroyed the Empire almost a century ago. All five heirs were thought to be lost. On present day Earth, fourteen-year-old Jake has an ordinary life of school, bullies, parties… until he stumbles on an ancient crystal. Meanwhile across the dimensions, the Magi Emperor is alerted that not all the Elementi were killed all those years ago. He summons and dispatches Adramelech, an evil fire demon to hunt and kill the last of the Elementi. If the heirs unite their powers and return to Eleria then all Magi gains from the war could be lost. Can Jake learn to control his growing elemental powers and reunite the other lost children in time? Children of the Elementi is a 51,000 word young adult adventure set between two worlds. Written by a former school librarian, it is a culmination of book requests and feedback from children and includes magical powers, underwater cities, sword-fighting and a sea battle. 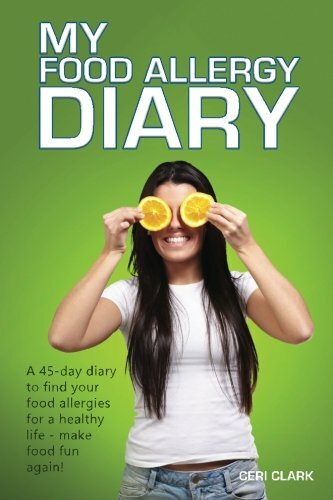 This book is now out of date! Please see the Second Edition. 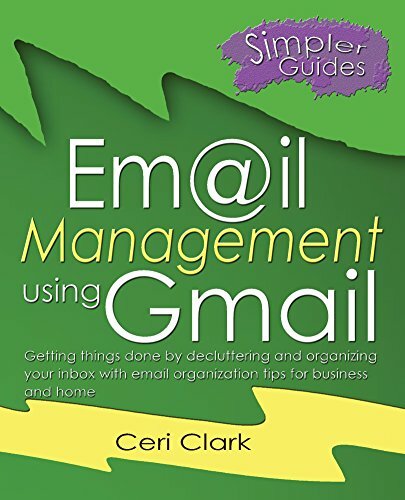 A Simpler Guide to Gmail is now available as a download from Amazon. A Simpler Guide to Gmail is a straightforward no-nonsense approach to a how-to guide for setting up your Gmail account. From opening the account, sending email to the more advanced features including Buzz, Chat and Labs. For your chance to win a Kindle, please visit the win a kindle page! Working full-time means that there is never enough time in the day. You need to spend time with your family, you want to write the next book but you also have to market the books already written. Writing the book is hard, (but fun), editing is harder but the most difficult thing to do is the marketing. The author’s dilemma is what should take priority. I could write a hundred books but noone would know they existed, I could market Children of the Elementi to death and never let the stories swimming in my head out. This isn’t strictly true, as I received one from Academi (the Welsh literacy agenc). However this is the first review from a customer who I’ve never met. I’ve reproduced it below. Thanks Abbie! After reading JA Konrath’s posts on publishing ebooks online, I have decided not to continue my search for a traditional publisher or agent. This isn’t to say I have exhausted all the possibilities but that the opportunities are much better for the independant author. The stigma of self-publishers seems to no longer hold true. I have published print and ebooks online. You can now buy a paperback at Lulu or ebooks from Smashwords. More details will come in a later post. The covers I have designed can be seen in the header.